Last year they saved the world, this year they’re taking on the universe, starting with their favourite place on the planet – Greenbelt! 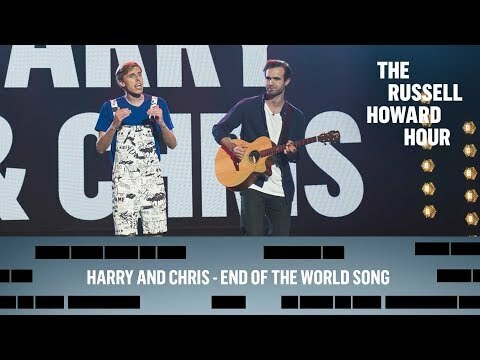 Harry and Chris (Guardian Pick of the Fringe 2018) are at the top of their field, after inventing the field of comedy-rap-jazz. They’ve sold out three Edinburgh shows, appeared on the Russell Howard Hour and were called ‘fabulously entertaining’ by Jonathan Ross (we didn’t even pay him to say it). From the ridiculous to the sublime, the world’s greatest comedy-rap-jazz duo bring their award-winning wordplay, awe-inspiring musicality, eyebrow-raising bromance and unashamed joy to the biggest PR task of all time – spinning planet earth. Making comedy-jazz-rap a thing, they bring love and laughter to a world that needs both more than ever.